The Football Association of Wales is backing a proposed rule that would have meant England striker Michael Owen could have chosen to represent Wales. The Scottish FA proposes to change the eligibility criteria of which home nation British players can represent. The current rule states a player can only play for a nation if he, a parent or grandparent was born there. Players with five years of compulsory education in the specified country would be eligible under the new plans. So, if the proposed criteria had been implemented a few years ago, Owen could have represented Wales. The Manchester United star was raised and educated in Hawarden in north Wales, but could not represent Wales as he was born to English parents in Chester, the nearest maternity hospital. Equally, if the new rule had previously been implemented former Wales captain Ryan Giggs, now Owen's United team-mate, could have opted to play for England. Cardiff-born winger Giggs has lived in the Manchester area since the age of six and even captained England's schoolboys at Wembley. But he was ineligible to represent England's senior teams. However, when interviewed in the past, Giggs has insisted that he would never have chosen to represent England, even if he had been eligible. In a BBC interview in 2001, he said: "I'm Welsh through and through - I was born in Wales, I grew up in Wales and my family are Welsh. "I only played for England Schoolboys because I went to an English school." The following year, he added: "It still bugs me when people ask if I wished I'd played for England - I'm Welsh, end of story. "I'd rather go through my career without qualifying for a major championship than play for a country where I wasn't born or which my parents didn't have anything to do with." The Scottish FA is leading the proposal for British players to be able to represent their chosen country if they have spent five years of compulsory education there before the age of 16. The Irish Football Association, which represents Northern Ireland, and the Welsh FA have given their backing to the plan. The Football Association is now considering the proposed eligibility criteria change and the plan will have to be ratified by world football's governing body Fifa before it becomes official. 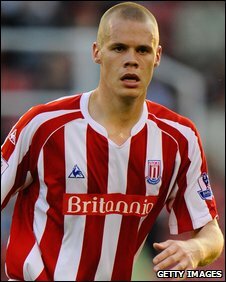 If the proposal becomes a rule it would mean Stoke City's highly-rated centre-back Ryan Shawcross, a reported £9m Liverpool transfer target, could also represent Wales. The 21-year-old was raised in Buckley in Flintshire but was born in Chester. Shawcross played for the Wales schoolboys team but has recently earned an England Under-21 call-up and has been tipped as a future England international by Stoke boss Tony Pulis. St Mirren's Andy Dorman also grew up in north Wales but was born in Chester - and the midfielder has already expressed his desire to play for Wales, where he spent all of his childhood. Should Fifa back this new eligibility criteria proposal? Wales youth team guru Brian Flynn is backing the plan. "People who grew up in Wales often can't represent the country they've lived in most of their life because their nearest maternity hospital is in England," Flynn told BBC Sport. "That is the case in parts of mid and north Wales near the borders where the local hospitals are in Chester and Shrewsbury. "So they could have been brought up, been educated and spent all of their life in Wales and consider it to be their country but they are only, in fact, eligible to represent England at senior level." The four "Home Nations" are in a unique position as, while players play for different countries, they all have the same passports as United Kingdom nationals. 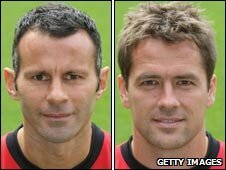 Meanwhile, some players born outside the four UK nations to British parents have been able to choose which to represent - such as Channel Islanders Graeme Le Saux and Matthew Le Tissier, who both opted for England, while Wales' past players include Cyprus-born Jeremy Goss and Singapore-born Eric Young. However, the four nations have a stricter eligibility criteria than Fifa actually demand as other international teams can call up a "foreign" player once he is naturalised after two years in that country.